and coordinates the health care of more than 70,000 patients. Most of the physicians are located in the large, state-of-the-art JCMG Medical Building, providing the convenience of one-stop comprehensive patient care. Other JCMG clinics are located in nearby communities. As a physician-owned group, doing what is best for patients remains JCMG’s number one priority. We grew from the belief that the best medical decisions are made by patients working closely with their physicians. JCMG offers highly trained staff and fully equipped offices. high field and open MRI, 64-slice CT, 2 digital mammography units, stereotactic breast biopsy, x-rays, DEXA scans, 4 ultrasound units, nuclear medicine, ICAEL accredited echo lab, stress echo, holter, EECP, electronic health records, PACS, fluoroscopy, chemotherapy, clinical research, a laboratory, a Laser & Vein Center, an Infusion Center, an Outpatient Surgery Center, pharmacy and a Weight Treatment Center. • Jefferson City also earned honors with a “Blue Ribbon Rating” and a “5-Star Rating” for our public school system. • Our community is ranked the “35th SMARTEST Places to Live in the US” by Kiplinger’s Magazine. • Excellent public and private schools. • As the state capital, our community is the economic hub for the 8 surrounding counties. • Conveniently located within minutes of NCAA Division 1 athletics. • Multiple professional sporting teams in close proximity. • Our service area includes the Lake of the Ozarks with several nationally ranked golf courses and 1,150 miles of shoreline. • Jefferson City is located within the heart of the Missouri River Wine Trail with numerous award-winning wineries. • For biking enthusiasts, Jefferson City is part of the Katy Trail, which offers over 225 miles of bike paths across the state. In addition, there are walking, jogging and biking paths throughout the city on the Greenway Trail. • We offer a great lifestyle to raise a family. You could be biking, water skiing, fishing and enjoying the outdoors! 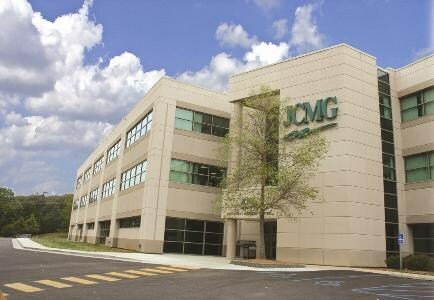 JCMG Medical Building with state-of-the-art equipment.